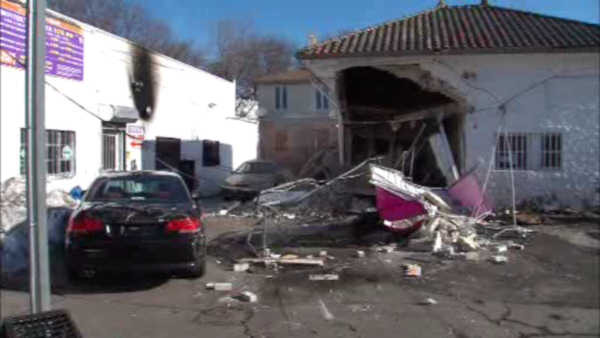 JAMAICA, Queens (WABC) -- A woman was hurt after apparently driving a van into a building in Queens. The accident happened at a car detailing center in Jamaica just after midnight Sunday. One eyewitness says he was sitting in a car parked outside the building when he heard the vehicle crash through the gate. The eyewitness says the driver was able to get out of the van, but she was bleeding. There is no word right now on her condition. City officials ordered the building to be vacated, because of the heavy structural damage.